A new feature celebrates the special friendship between a top cat who helps the blind and partially deaf dog who is her best friend. 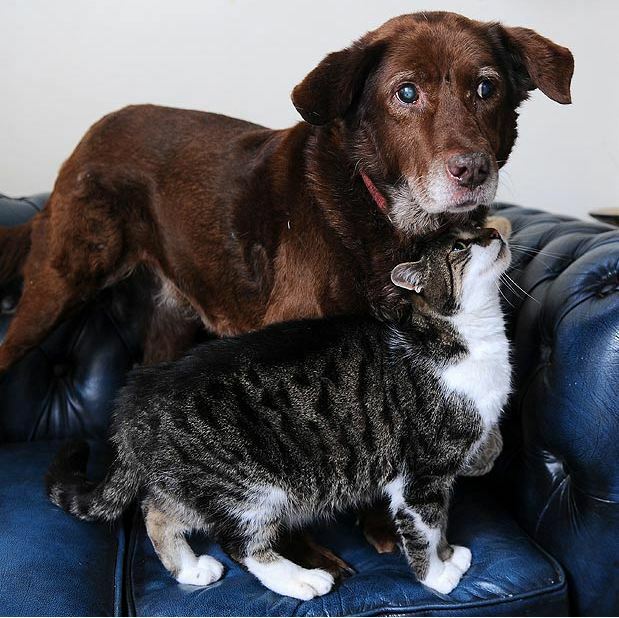 A stray cat found a home, and gave a vision impaired dog a new lease on life when she became his companion and guide. 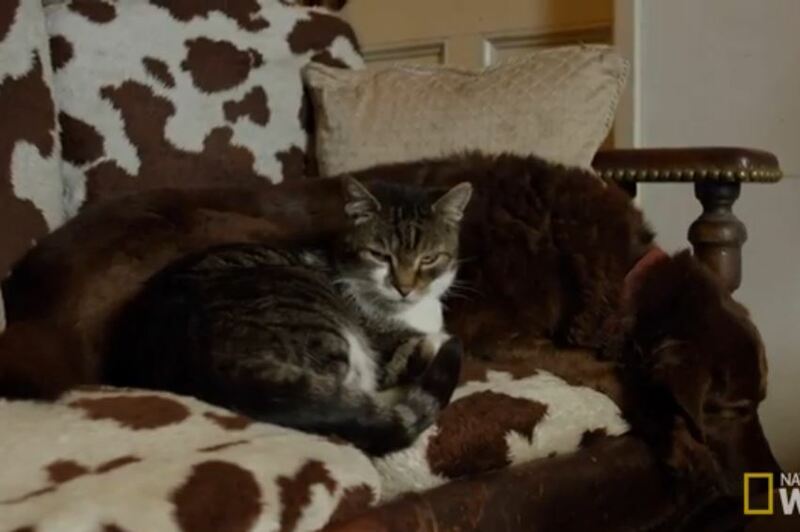 We first posted about the pair in December 2012, with Guide Cat Helps Her Blind Dog Friend, and shared a video with the two a few days later, with Video: Pwditat and Terfel, Best Friends. The new telling of the remarkable tale of friendship focuses on Pwditat, a stray feline with a fierce reputation as a bully who grew close to Terfel, a blind farm dog afraid to leave the safety of his bed. Pwdditat became a seeing-eye-dog of sorts, leading Tervel around in a delightful show of animals helping each other out. Terfel lived with Holyhead, North Wales, UK resident Judy Godfrey-Brown as he lost his sight and pretty much retired to his basket. Pwditat the cat showed up as a stray and changed Terfel’s life when Judy adopted her. Pwditat is a loving companion to the formerly isolated dog, and she’s become his guide, allowing him to get up and out and enjoy life again. The pair are now living with Anne Cragg, who took them in when Judy Godfrey-Brown was no longer able to care for them. Pwditat appointed herself as the dog’s service animal and pal. She walked up to Terfel, led him from his basket, and brought him out into the garden. She has continued to help the dog get around and enjoy life since joining him.